For those who want to save for retirement, building a large pool requires more than just saving an additional amount of money each month. More people now realize the importance of investing as a way to create their retirement savings. Many people are hesitant about investment due to the risk involved. However, having a variety in investments will make easier to prevent large losses without having all your eggs in one basket. Making just one larger investment might pay off in the end, but you also risk losing more of your money. By making smaller investments, you will be sure to see a return on some of your money. Don't expect a quick return on many of the investments, as growing money takes time and can easily be at least a decade until you have a substantial amount acquired. Set different goals on when you should expect to gain certain amounts. Investing for retirement should be a long-term investment that you won't need the money from earlier. The longer you have your money invested, the more return you will see. People often go into investing without considering the effects of inflation, which can cause money to lose purchasing power. This can be avoided by putting a certain amount in stocks or stock funds by keeping up with any inflation that occurs. Consider investing online for a safe way to trade 24 hours a day, seven days a week, with top-quality research available for online financial recommendations. It can be easy to access your investments anywhere in the world for a convenient and easy way to grow your wealth. Everyone has gains and losses with investing, but those who avoid it altogether are the ones who do not have large retirement funds and can get stuck working for a decade longer than they anticipated. You can't afford to ignore investing as there are not many options available to gain enough wealth to build a large retirement fund that will last for the rest of your life. Expect to lose a little, but your return from investing are likely to be much greater than your losses. It can be tempting to check in on the status of your investments each day, but this will essentially drive you crazy and can often lead to unwise decisions due to panic or anxiety. Expect investments to fluctuate and only check them about once a week at the most. By learning the rules and patterns of investing, you can save enough for retirement. By investing now, you can have enough money saved, so you don't have to work more than you anticipated because you did not save enough money. 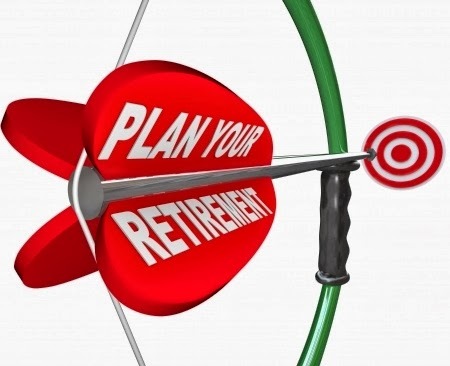 It is a realistic goal to be able to enjoy your retirement. Author: Anita Ginsberg from Denver.